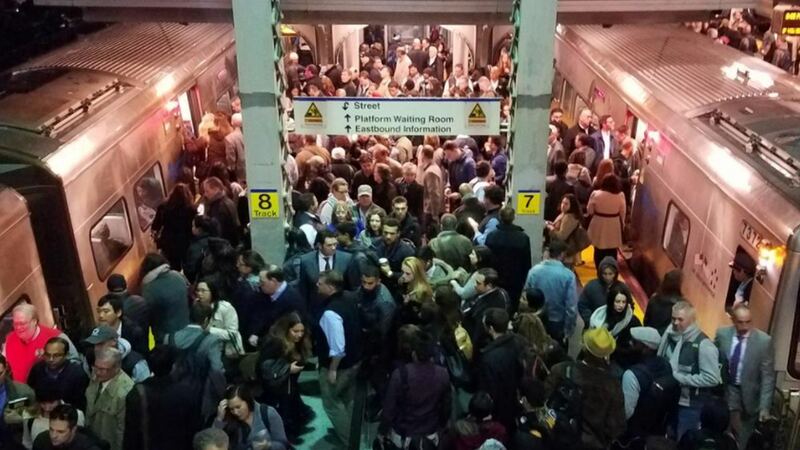 NEW YORK (WABC) -- A car on the tracks near Mineola caused the suspension of three Long Island Rail Road lines at the height of the evening commute on Election Day. Many commuters on the Oyster Bay, Port Jefferson and Ronkonkoma branches feared they would have trouble making it to their polling locations on time. Service had been suspended east of Jamaica around 5:35 p.m.
MTA police and LIRR crews have removed the vehicle from the tracks and restored service as of 7:30 p.m.
A second car was also removed after being struck by a train west of Wyandanch.